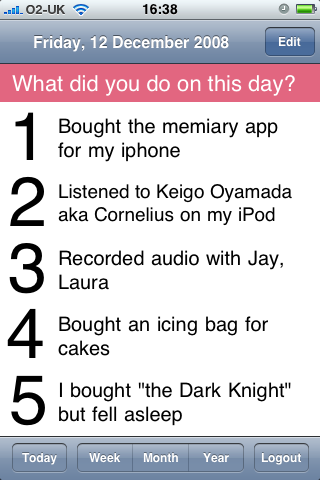 memiary is a simple wee app... designed to help you remember 5 things you did in a given day. The iPhone app syncs with the web app... and there is Twitter integration where you follow @memiary and "dm" them when you want to add to your daily list. I like it... because my memory is shot. 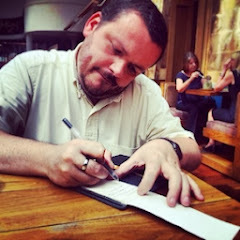 As such, its well worth 59p... albeit... you could just write stuff down in a journal or something.